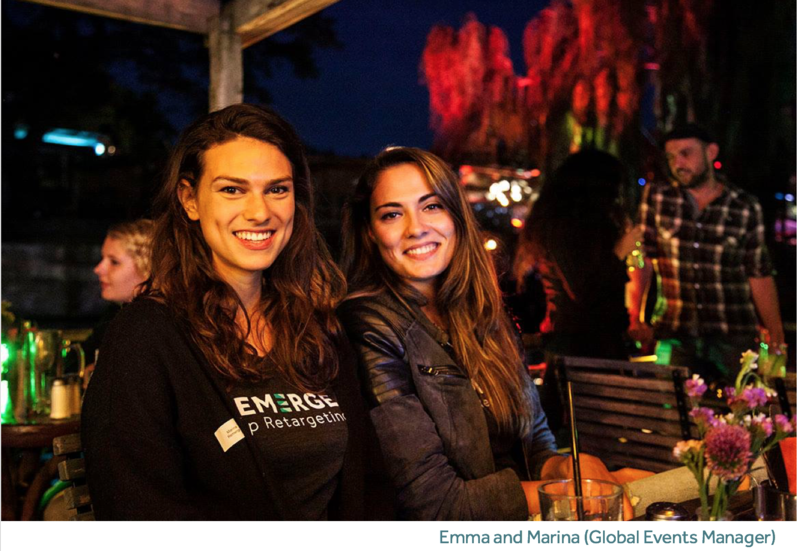 In this interview, Director of Account Management, Americas - Emmanouela Androulaki reflects on the last three years at Remerge, and her growth within the company. 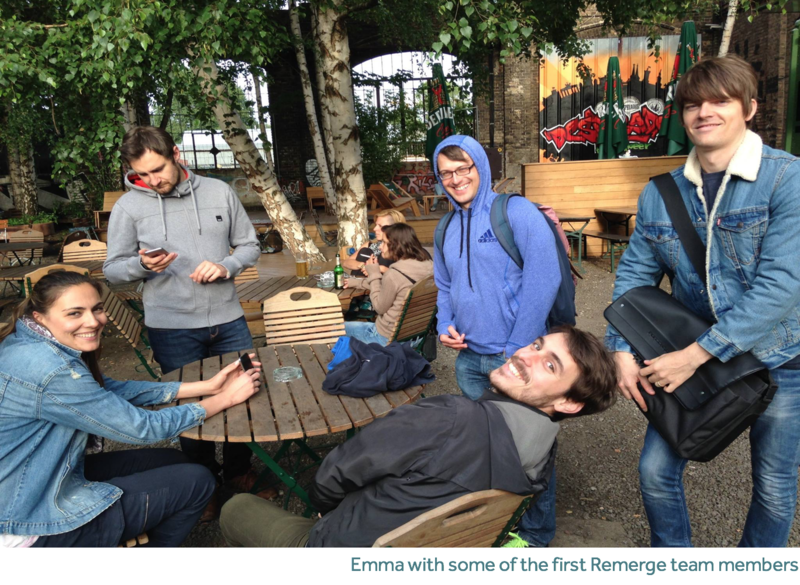 How did your career at Remerge begin? I found the initial job post in the Vlerick career portal during my final semester as a Finance Master’s student. At the time, I was realizing that a position in a traditional finance field (the basis for my studies) was not the right next step for me. I knew I was looking for a fast paced and flexible environment that would provide consistent challenge post-graduation, and I found myself attracted to organizations whose internal design would allow me to positively impact the day-to-day of clients and colleagues. For me, Remerge met all of these qualifications as the company was in the early stages of growth, with the final product still in development. I remember feeling initially uncomfortable at the thought of taking a risky position at a startup, especially since my finance background allowed for plenty of opportunities to join large and well established corporations. However, after my first interview, I felt a connection to the founding team and their entrepreneurial mindset, which ultimately fueled my decision to join. Thinking back, I see that it was also risky for the founders to hire someone fresh from school without the ‘ideal’ background or industry knowledge. In the end, I guess we took a bet on each other. I believe if you are not willing to risk the unusual, you will have to settle for the ordinary, and I am definitely not a person that likes to settle. In the beginning, my Remerge journey was very challenging, as I was diving head first into a new industry where I had little prior experience. To speak honestly, for the first one to two months, I felt completely useless and out of my depth. I still remember sitting down with Ben (our CRO) in a very small room discussing how basic media math works (i.e. how we calculate an effective CPC) and I thought, “I am supposed to be very good at math. Why don’t I get this?.” Undeniably, I was extremely lucky to work directly with Ben, Martin (our CTO) and the rest of the founding team as they diligently taught and supported me throughout the training process. Even with the chaos of learning an entirely new subject and moving to a brand new city (I had to relocate from Belgium to Berlin), I immediately felt like Remerge was home. In the early days, I was responsible for pretty much all business related tasks (including prospecting, sales, and onboarding). Once the product was finalized and we had our first clients, I specialized in Account Management as I saw it as a good match for my skillset and passions. It was truly an amazing feeling to have the option to choose the part of the business where I would grow my career. This allowed me to feel a level of appreciation and respect from my team that still humbles me to this day, and it significantly spurred my commitment and engagement to the company. Luckily, we soon saw a strong market attraction to our product, and very soon, started growing the team as we ramped up revenues. When was it decided that you would move to the US to open the new office? 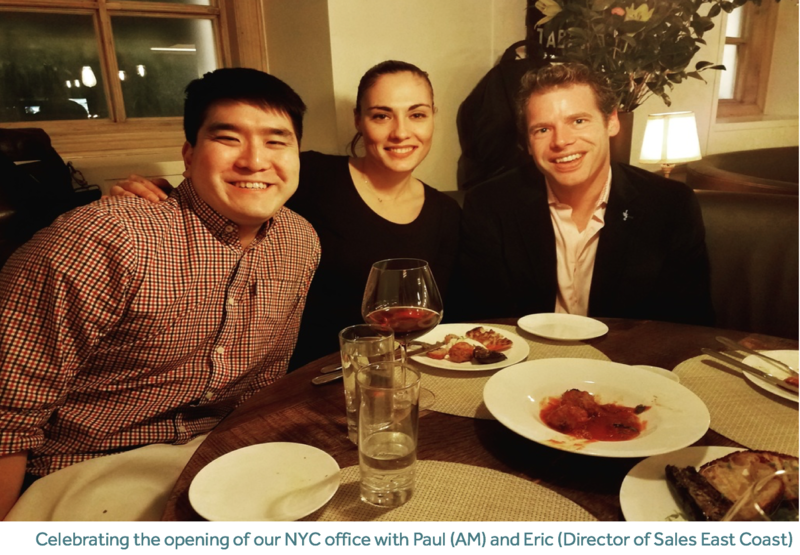 After I was with the team for around 8 months and successfully passing my 6 month ‘probation period’ (a very common practice that European companies follow for new hires), the company saw a strong opportunity to make an investment in the US market. To put things into perspective, US accounts for around 50% of the global mobile ad spend, so the decision to enter such a competitive arena was a major growth step for us. 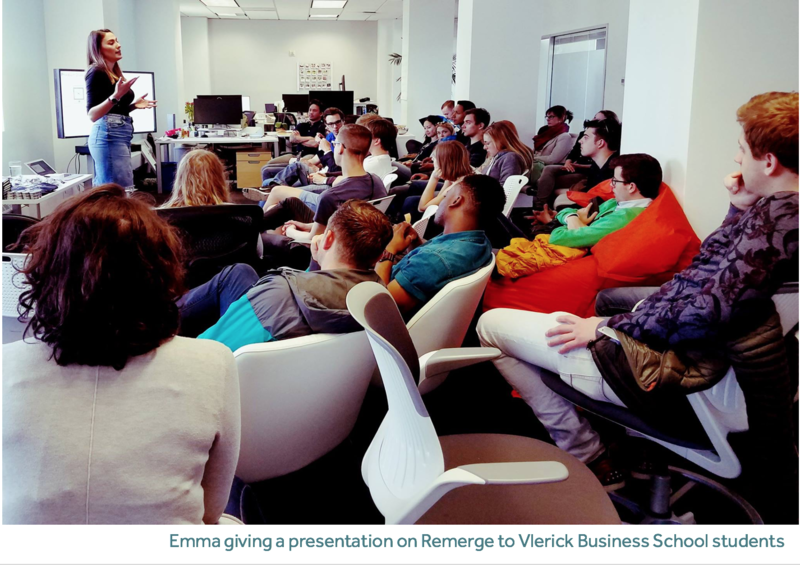 As an ambitious and curious young graduate, I was extremely interested in joining this new venture with Remerge, and requested to move to the US. However, it took time to figure out the right set up for me to relocate to the US together with Ben and Pan. The process is expensive and the Visa situation is very complicated. This was another moment of my Remerge journey where I felt highly-appreciated as the team was acknowledging my hard work and dedication, and ultimately, the team was helping me to fulfill my professional dreams. In every type of relationship, in order for things to positively work out, feelings need to be mutual. I feel that is definitely the case with my Remerge relationship! Did you face any major challenges when you moved to SF first? Settling into San Francisco was very easy for me. I don’t speak German so integrating to the local culture in Berlin was a bit tricky. In contrast, understanding everyone once I arrived in the US was a big improvement. In terms of adjusting to the US market, that came very naturally. 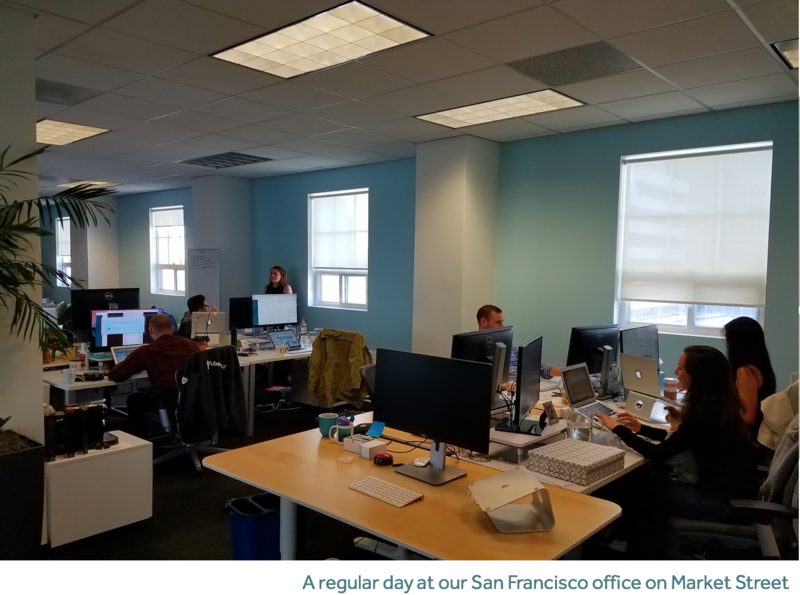 In general, I am a very flexible person, but the transition was made extra smooth through the support I had from Irina (our VP of Sales and first US employee). She also did an amazing job supporting us by establishing the Remerge brand name, so very soon after my arrival, we saw a nice ramp up in the US revenues. The real challenge I faced was recruiting, and finding the right people to join the team. The mindset in the US is very different, and the competition from other startups in Silicon Valley proved difficult to navigate. 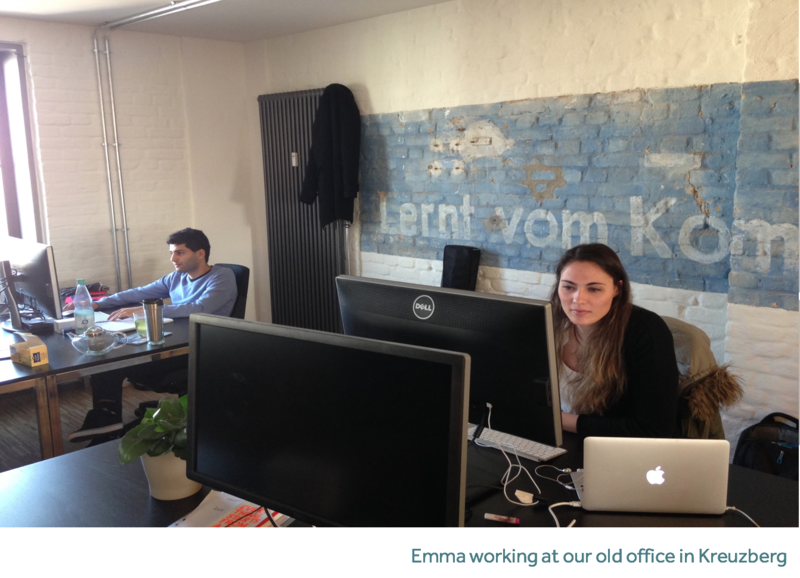 It was hard for us, as a small German startup, to make a difference and attract good talents. I think we got very lucky with Margaret (our first US Account Manager) as she was a great team fit and has been supporting me both at revenue and team growth. I truly love the client management aspect of my job. Understanding client’s needs, adjusting our product offering so it matches their requirements and building long term relationships of trust and respect simply reflects who I am as a person. It was very hard for me to let go all of my clients in Berlin and hand them over to the EMEA AM team, but currently I enjoy the advising and coaching nature of my current position, US Director of Account Management. As an ex-professional basketball player, I hold a high respect for the importance of team spirit and motivation, so I am focusing a significant portion of energy on inspiring and engaging my team around the Remerge mission. 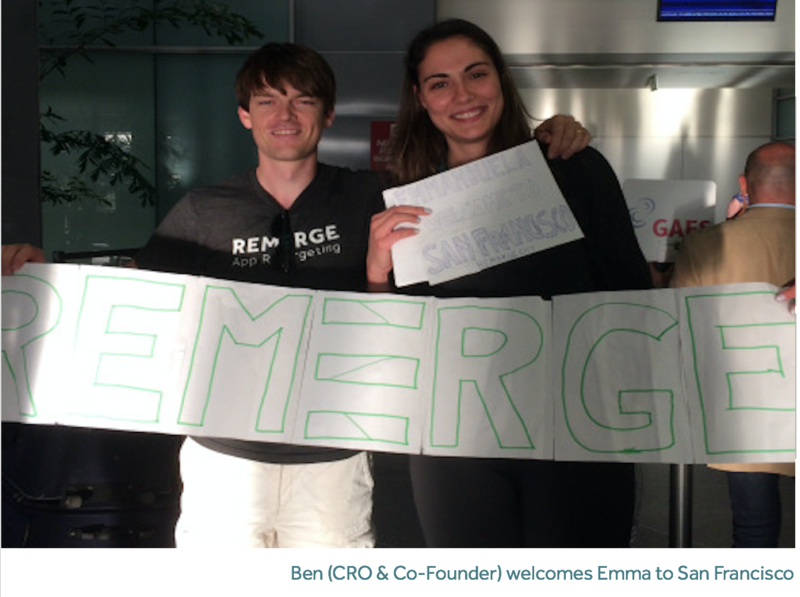 I feel very grateful to the founders of Remerge for all the opportunities I have been given but I also feel very grateful and proud of our amazing team. I really enjoy staying active through sports, exercising and in general doing morning activities. During weekends, I try to spend as much time as possible catching up with my family and friends back in Greece as I miss them a lot. What skills does someone need in order to be successful at Remerge? In order to thrive at Remerge, you need passion for what you do, creativity and a can do attitude. The company is growing very fast. We face new challenges everyday - most of which we don’t immediately know the right solution. We don’t see these challenges as obstacles, but rather, as reasons for constant innovation and growth. I love this question! Frankly, I can discuss this for hours! There are many key ingredients in our ‘secret sauce’ for success, such as a good product and the focus on a single mission, but I think the true game changer is the unique ‘Remerge’ mentality. The founders have the mindset of “hiring smart people to tell us what to do, not tell them what to do” and that enables smart and capable people to thrive. 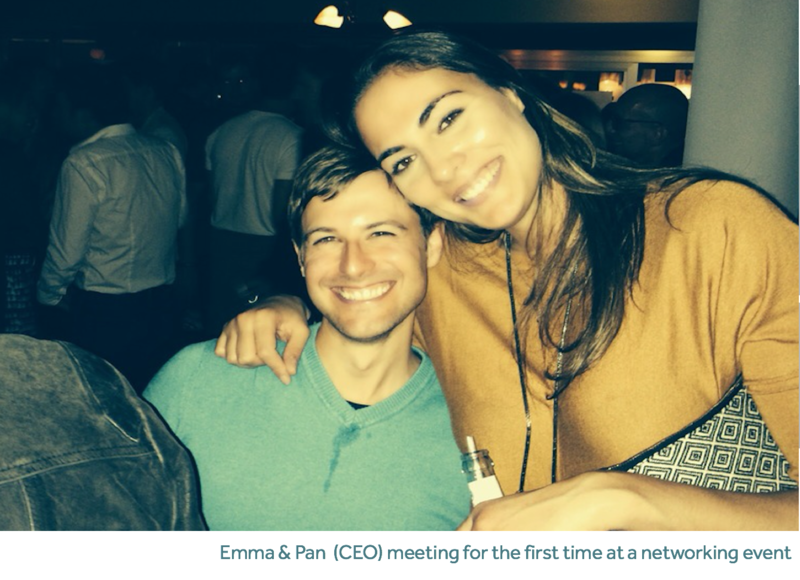 Our employees are focusing on building a culture that empowers and enables people to grow. I think my path in the company is the most tangible example showcasing internal growth potential. In conclusion, hiring good people, allowing them to add value and also cultivating their growth within the company constitutes the best HR tactic resulting in a very strong team. I believe a good team is a key factor for the success of any startup.